Ilya schor (polish/american 1904 – 1961). Simchat torah. Gouache on board. 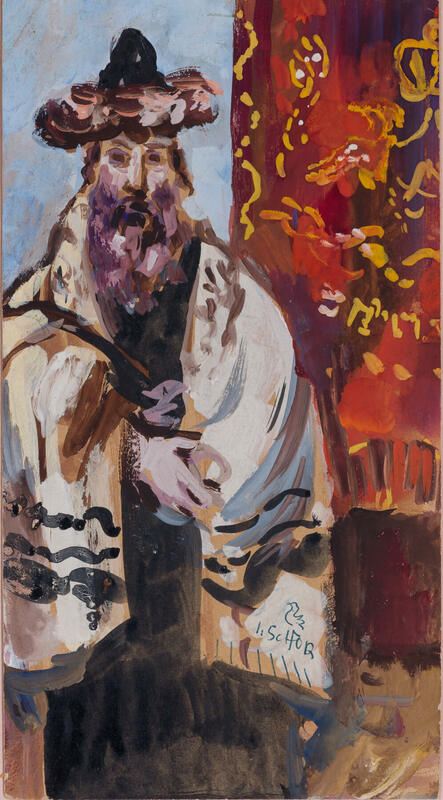 Chassidic rabbinical figure in front of the aron kodesh. 8.7” x 4.8”.